Getting your entire organization up and running on XTEND2WEB reporter is an easy process. 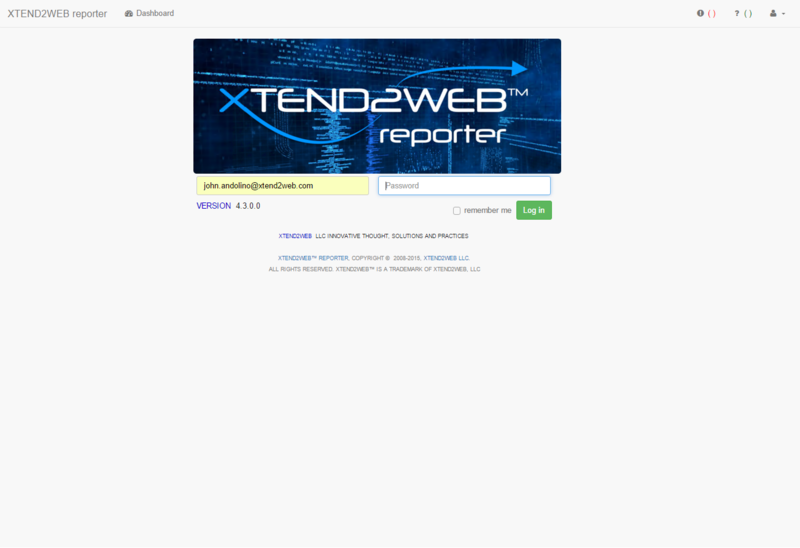 XTEND2WEB reporter is designed to be intuitive and easy to use. 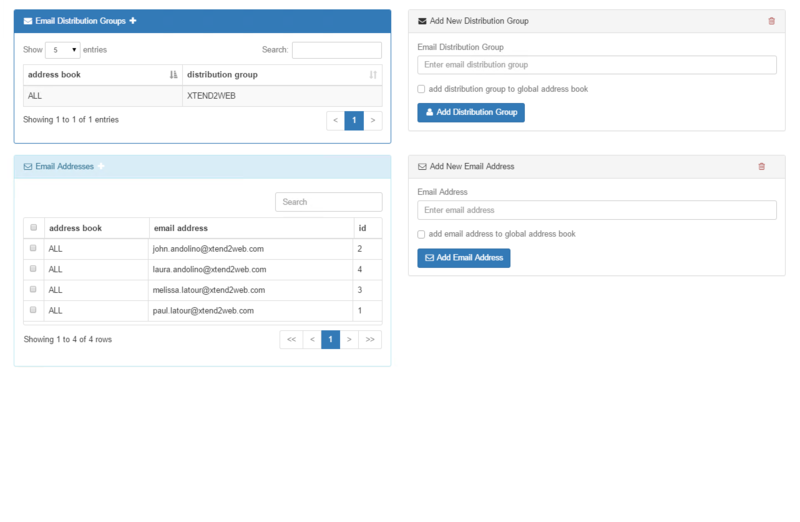 Users understand the functionality of reporter after just a few minutes. Simplicity coupled with powerful features makes reporter's use a great experience across all Internet-connected devices such as computers, tablets and smartphones. XTEND2WEB reporter's intuitive interface is structured in a way that enables users access to most features and functions from a single web page. Reporter's user-friendly design allows for standard user training in as little as 30 minutes. The extensive online knowledge base of "how-to" articles and videos provide users with ability to learn reporter at their convenience and get the answers they need. 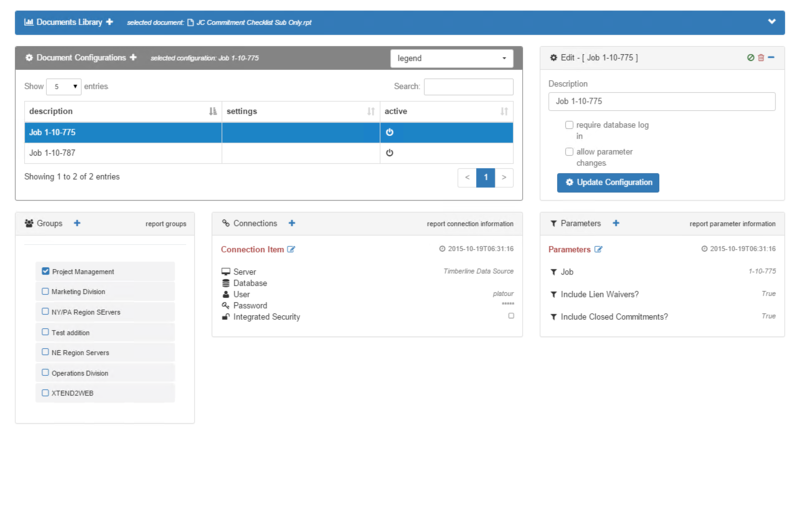 Have your entire organization up and running with XTEND2WEB reporter quickly. Reporter's single server installation with instant web availability enables a rapid implementation. With no user required installations or changes, quick user training and full feature availability; you can see immediate efficiency gains and ROI. 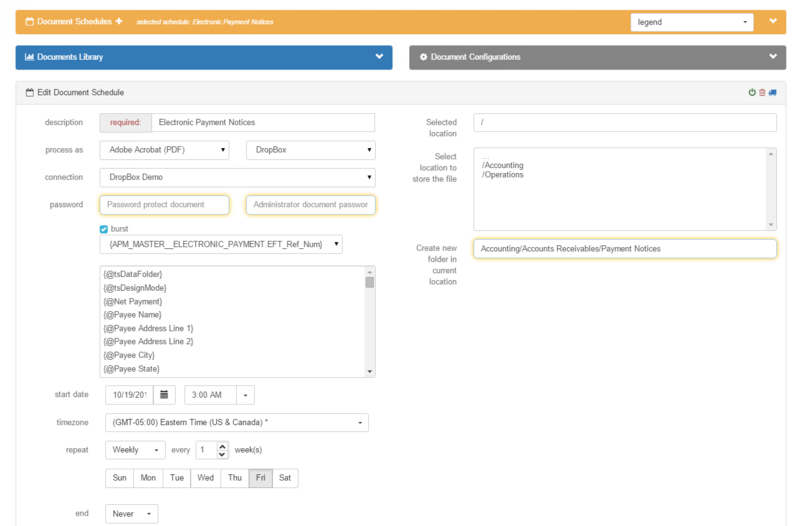 Scheduling and report automation can be active and running within minutes of installation. XTEND2WEB reporter provides one comprehensive platform to manage all of your vital report data and history. As a central repository for your reporting, reporter provides instant access to reports, schedules, historical report copies and a complete audit trail of all activities performed in the software. 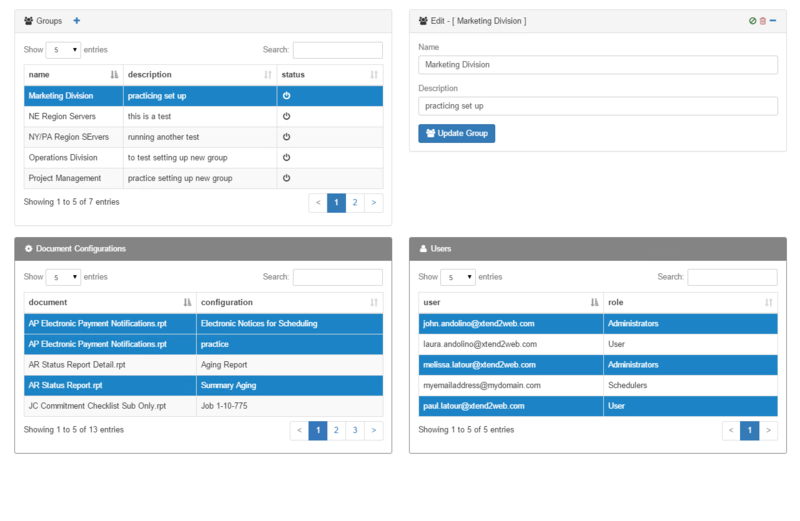 Everything accomplished in XTEND2WEB reporter is tracked and archived, from user executed reports to schedule executions to report additions and changes. 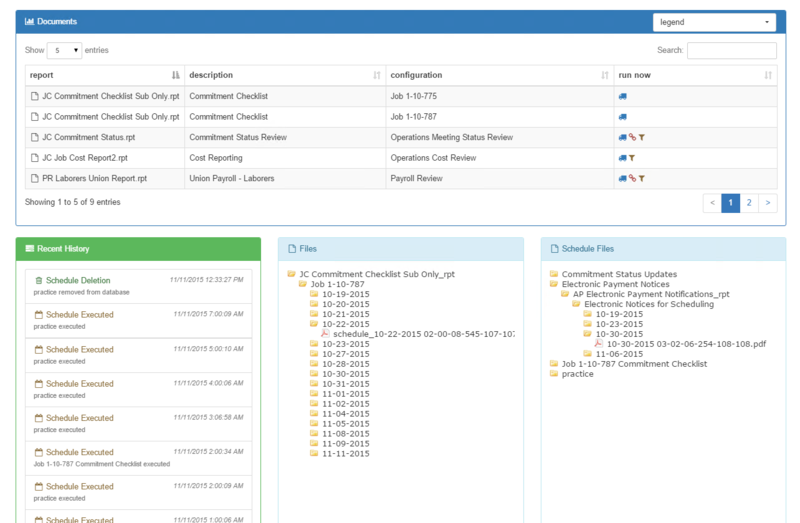 The entire change history in reporter is tracked and archived.